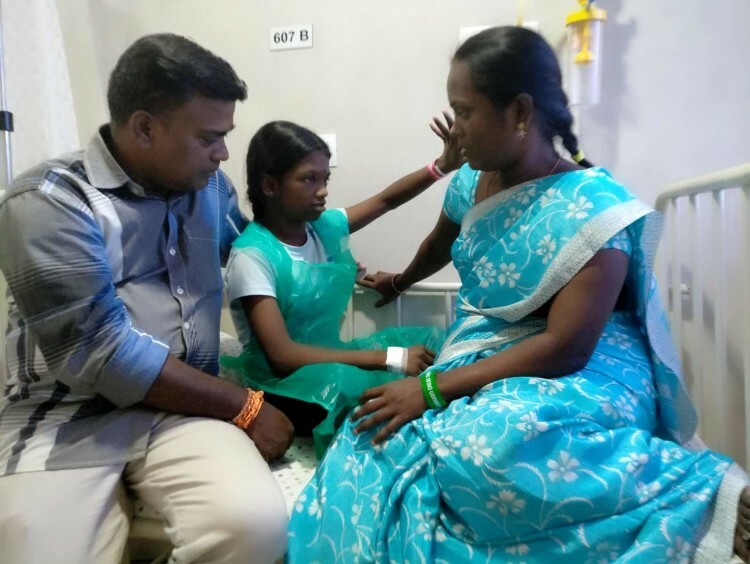 "She had trouble walking and severe pain in her legs. Scan reports were normal and the doctors said she would grow normally. After a year, when she had a severe cold, we took a complete scan. We were shocked to see that her spines were bent. Initially, she was asked to wear braces to restrict the growth of the curve. She couldn't bear the pain, she got painful sores all over her back. Day by day the curve became visible and she stopped moving around. It is frightening to see her body go crooked, and heartbreaking to see other children make fun of her." - Jothi, Sakthipriya's Mother. Sakthi is an active and brilliant girl. She excels in academics and extracurricular activities as well. She was never seen tired and weak. 2 years ago, she complained of severe leg pain and they noticed that it was slightly uneven. The scan reports on her legs were normal, so they were hopeful that it would heal by itself. Only when she had a severe cold, they found about the bent spine. Doctors asked her to wear braces, it applies pressure to the spine and ribs to prevent the curve from progressing. She got sores all over her back and it was painful. When the curve became visible, doctors said only a surgery can fix her. If not, her legs will collapse and she will be crippled for life. 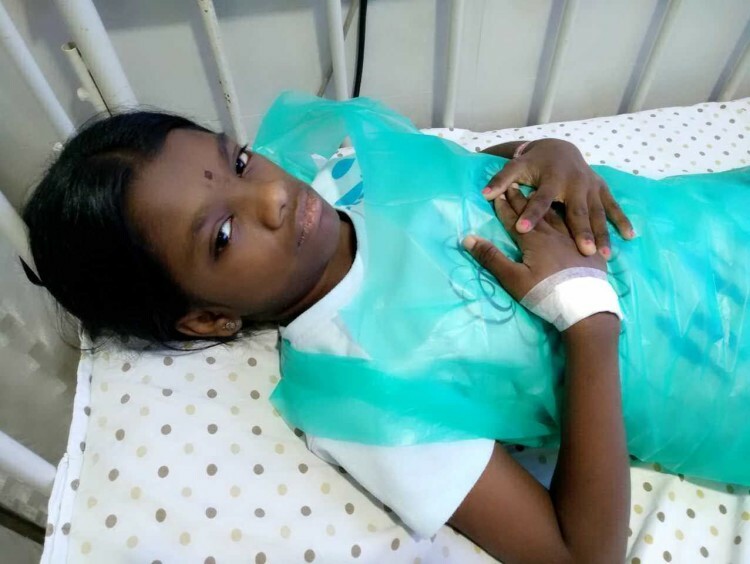 Sakthi fought a battle against death when she was just 1-year-old. She was diagnosed to have a hole in her heart. She had breathing trouble and her skin turned blue. An emergency surgery was done and she recovered soon. Her parents believed that she has come out from all the risks and she will have a normal life ever. Now, changes in the body, her restricted movements are taking a huge toll on her emotional health as well. Sundaraj Pandian, works as a salesman in a private company. He was living a modest life. 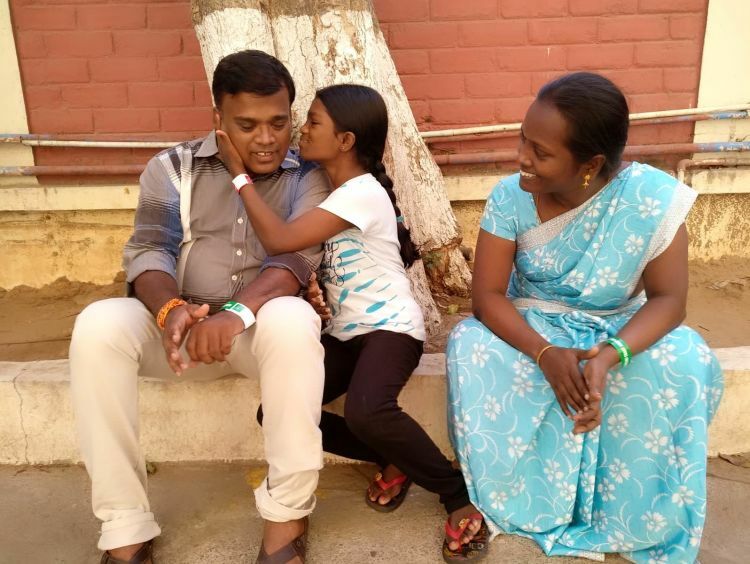 With Sakthi's diagnosis, he was forced to spend a lot and borrow money for her treatment. He was forced to move the children to government school after running out of money. "She was a very happy child. She takes everything sportively. When we came to know that her spine is bent, we broke into tears but she was strong. She did not let that to disturb her mind. Now fear is creeping in as she feels strange about her own body. She does not complain anything but pain and fear are visible in her eyes. She is not able to walk and play like before. The children make fun of her." Sakthi Priya's condition is becoming worse day by day. She is getting deformed and is the victim of a lot of ridicule. She needs an urgent surgery to restrict the curve in her spine. Without it, her shoulders will turn crooked completely, causing organ disorders. 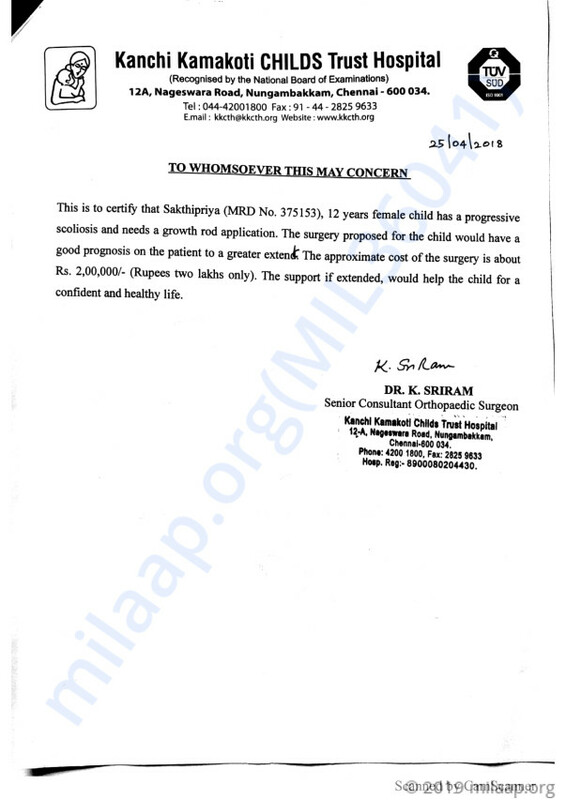 Surgery requires Rs. 2 lakhs. 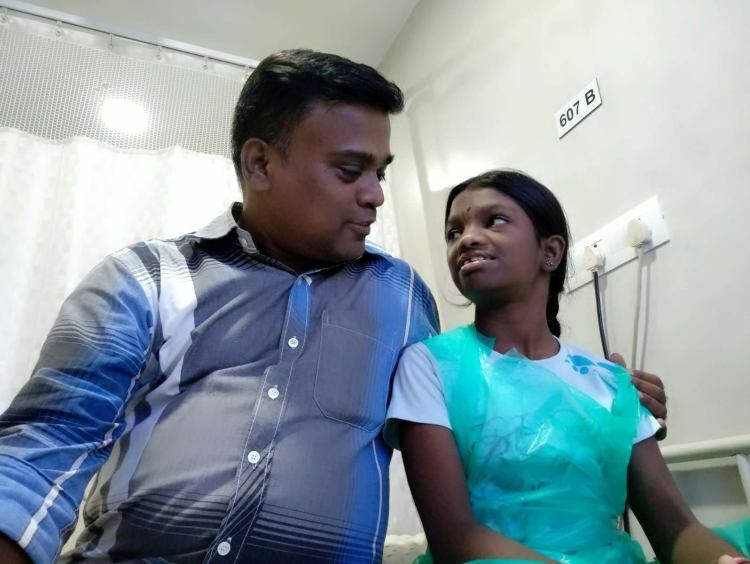 Her father cannot afford the surgery. He is struggling to pay for the tests and scans. 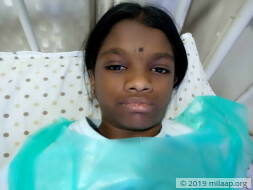 Only your support can make the surgery possible and save her from complete deformity. 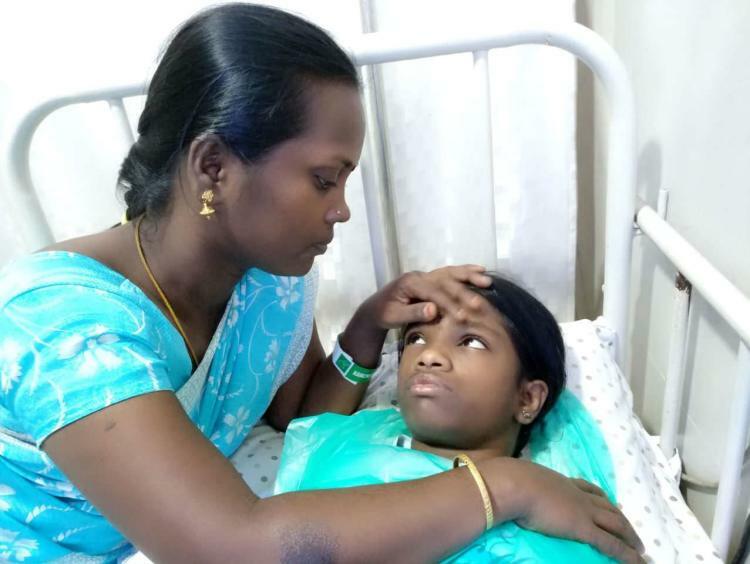 Your contribution can save her from having spinal deformity lifelong and live a normal life.